Know Your Neighborhood is a video series that features the best of Iowa City's neighborhoods, and their individual challenges. The series is the brainchild of Iowa City's Neighborhood Council, an informal group of neighborhood representatives that meets regularly to discuss neighborhood issues, and work toward common goals. 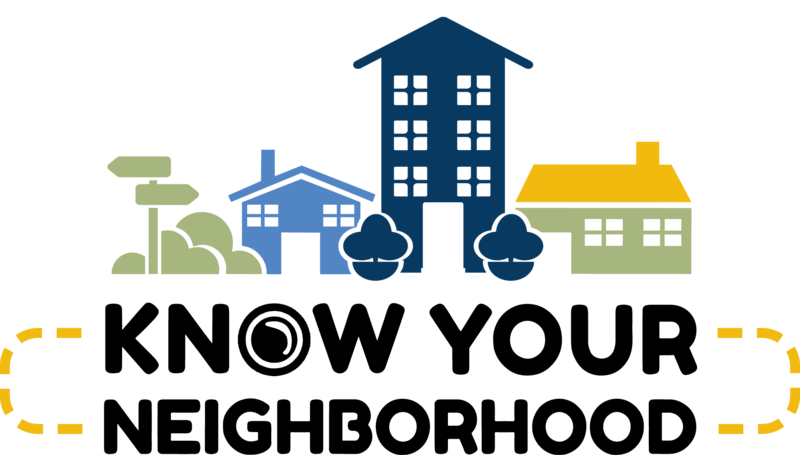 The Neighborhood Council also oversees the Program for Improving Neighborhoods grant, or PIN grant, which provides funding to neighborhood associations to help them achieve their goals. Watch the Know Your Neighborhood series to learn more about Iowa City's unique, diverse and inclusive neighborhoods. Completed videos are available for viewing below, others are still being produced. The Lucas Farms neighborhood was named after Governor Robert Lucas - the first Governor of the Territory of Iowa. Lucas and his wife Friendly made their home at Plum Grove from 1844 through 1866 - which at that time hosted 360 acres of farmland and extensive orchards. Homes from many decades, 1840s to the present, fill the neighborhood and the population is just as diverse. Development within the Riverfront Crossings area, near the neighborhood has cause a resurgence of interest in living here. The Northside neighborhood is one of the original areas settled in Iowa City. Its location, directly north of downtown and adjacent to the University of Iowa campus, makes it convenient for faculty, staff and students alike. In an effort to preserve portions of the neighborhood and its architectural heritage, several areas have been designated as Historic and Conservation Districts over the past 25 years. Horace Mann Elementary School and North Market Square Park are the centerpiece for the neighborhood, which is experiencing growth among younger families that desire to live here. The Grant Wood/Wetherby neighborhood is located in the south area of Iowa City. This neighborhood was developed substantially during the 1950 – 1970s with quaint, affordable homes that attracted young families. The neighborhood continues to draw many new families of many cultures and backgrounds. Continued growth to the south and east sides of the original neighborhood has surged over the past two decades, requiring an additional elementary school and infrastructure improvements. This neighborhood hosts an extensive trail network connecting several popular parks and open spaces. The Longfellow neighborhood is located just southeast of downtown and within easy walking/biking distance to the downtown and University of Iowa. Established mostly in the 1910’s-1940’s, it once served as a “suburb” to the downtown and campus with a street car providing easy access to these locations. Now protected by several Historic and Conservation District, the area is seeing a resurgence of younger families moving into the neighborhood which also hosts its own “neighborhood school” – Longfellow Elementary. The College Green neighborhood is located directly east of the Iowa City downtown area and hosts many historic homes, sororities, students as well as homeowners who have lived in the neighborhood for decades. College Green Park – one of the oldest in Iowa City serves as a central gather place for all age groups. As with other close to campus neighborhoods, the owner occupied/rental property balance can be a challenge, but also creates an energetic diversity to the area that makes it inviting to all populations. The neighborhood association continues to provide opportunities for interaction and sharing information among College Green residents. The Goosetown neighborhoods has an extensive historic past. Located just northeast of Iowa City, it is affectionately named Goosetown because the Bohemian immigrants who settled there in the 1850’s commonly kept geese in their yards. Many of the typical Goosetown homes have smaller houses on larger lots, which enabled early settlers to have their own small farmstead. Goosetown is about a mile from downtown Iowa City, making it a very popular choice for staff, faculty and students of the University of Iowa.